MBC releases details about their new program ‘Under Nineteen’! 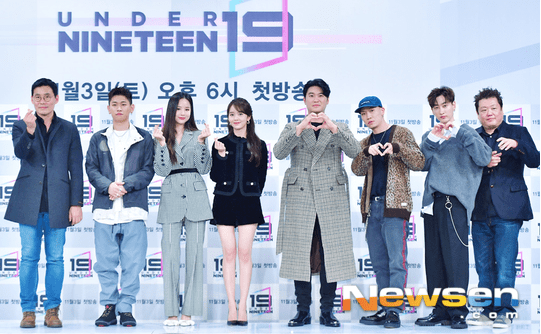 MBC has released more details about their new program ‘Under Nineteen‘. The teen audition program will debut nine boys out of 57 trainees. The final episode, episode 14, will have 19 trainees, in which nine will be crowned as winners. The winning group will promote for approximately a year under MBK Entertainment. ‘Under Nineteen‘ is a survival program that aims to debut trainees that yearn to be idols in the future. Popular actress Kim So Hyun will host the show. MBC has already released the profiles of the contestants. The contestants will be divided into teams depending on their skills: vocals, rap, and performance. The directors and coaches of the different teams are actually acclaimed idols. EXID‘s Solji and Crush will direct the vocal team. Dynamic Duo will direct the rap team. Super Junior‘s Eun Hyuk and choreographer Hwang Sang Hoon will direct the performance team. Are you excited for the broadcast of ‘Under Nineteen‘? Let us know in the comments below. Lovelyz are making their comeback in November!